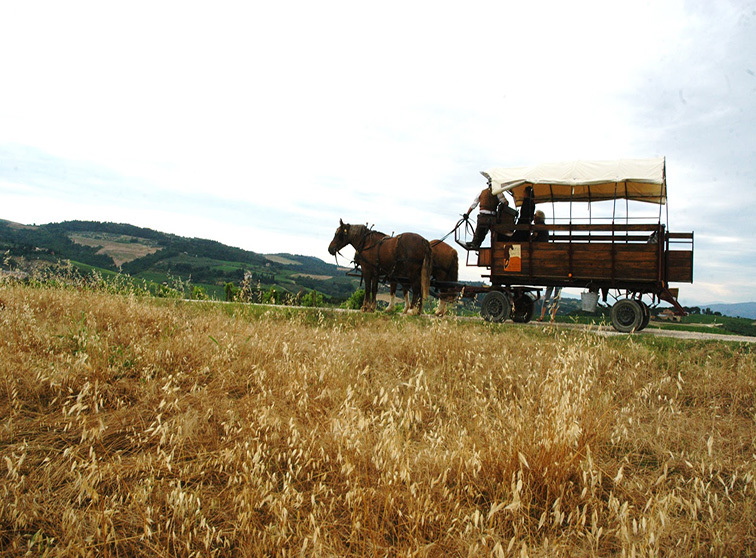 Experience a real immersion in Nature with a horse and wagon tour around the Hills of the Chianti area, enjoying postcard panoramas, including a dip in a panoramic salt water swimming pool, live this experience for the well-being of Nature and the body, and relax. 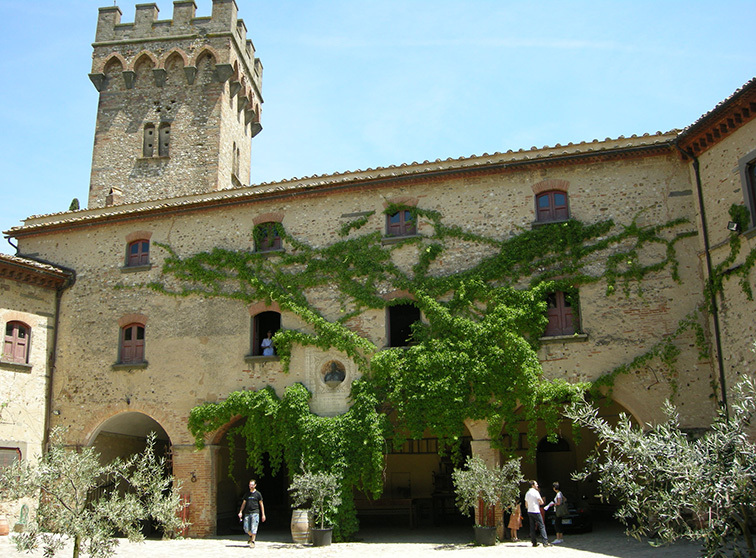 Then a Wine Tasting plus a Typical Tuscan Dinner composed of local produce. Finally you will conclude your experience relaxing on a panoramic terrace by candlelight. 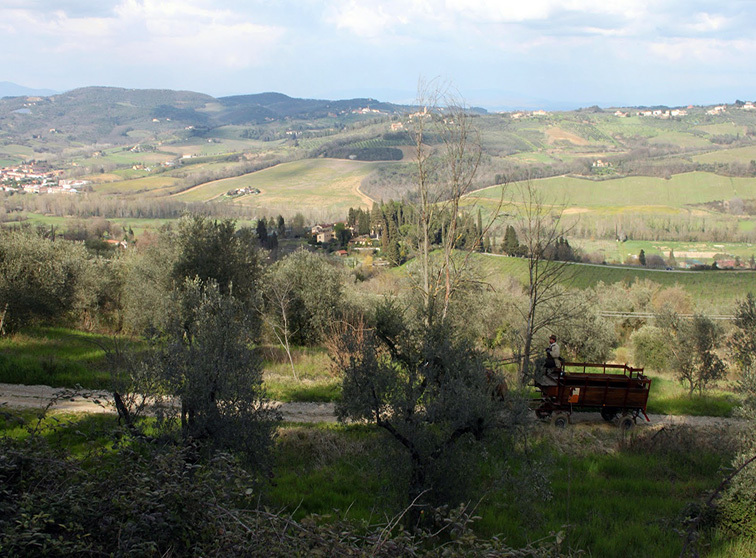 Finally a Wine Tasting plus Lunch with local produce, on a panoramic terrace, enjoying Chianti countryside’s timeless tradition aromas and evanescent flavor. 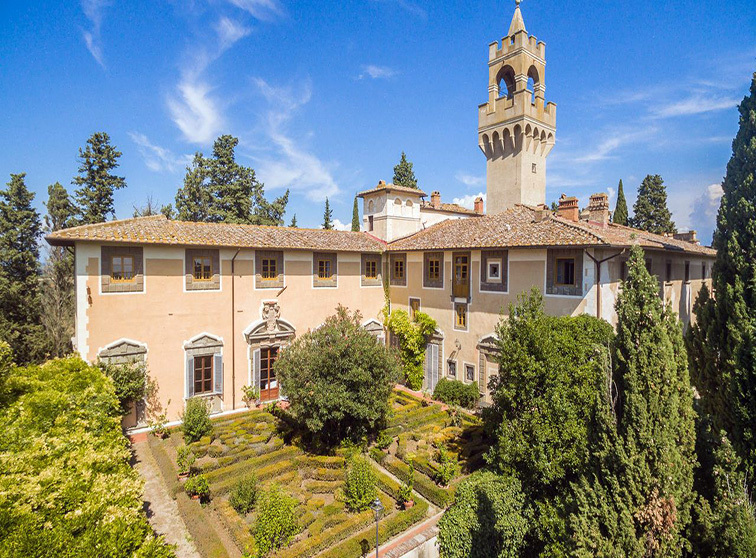 Learn about the history, the territory and the wines of the famous winery of the Marchesi de’ Frescobaldi, known throughout the world for their fine wines. 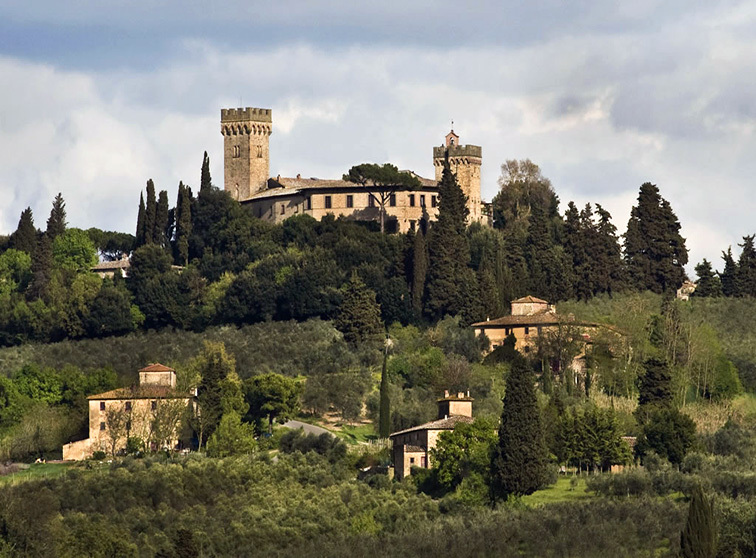 You will be guests in the cellars and on the premises of Marchesi de’ Frescobaldi. 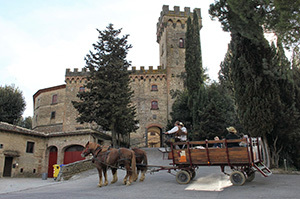 You will have the opportunity to sample some Tuscan delicacies. 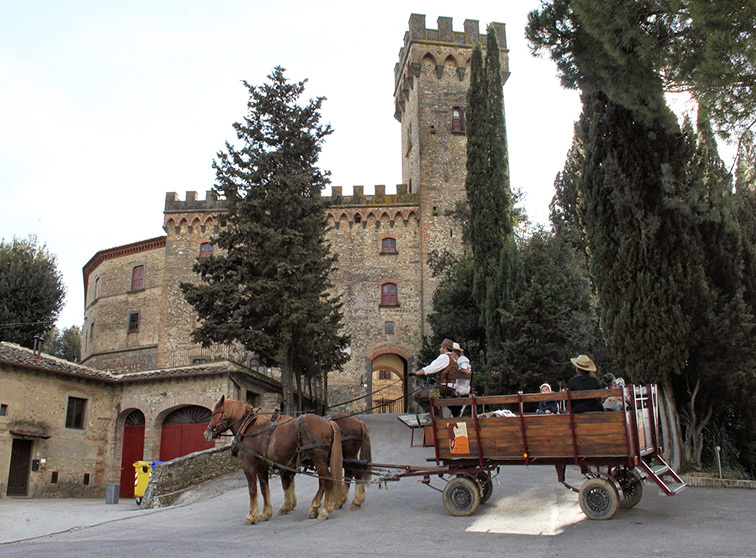 Carriage will take you to the nearby and majestic Castello di Montegufoni, with its splendid garden, an enchanting place to visit. 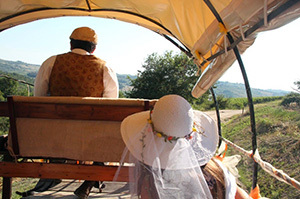 Have an Old-Fashioned Wedding Day ! 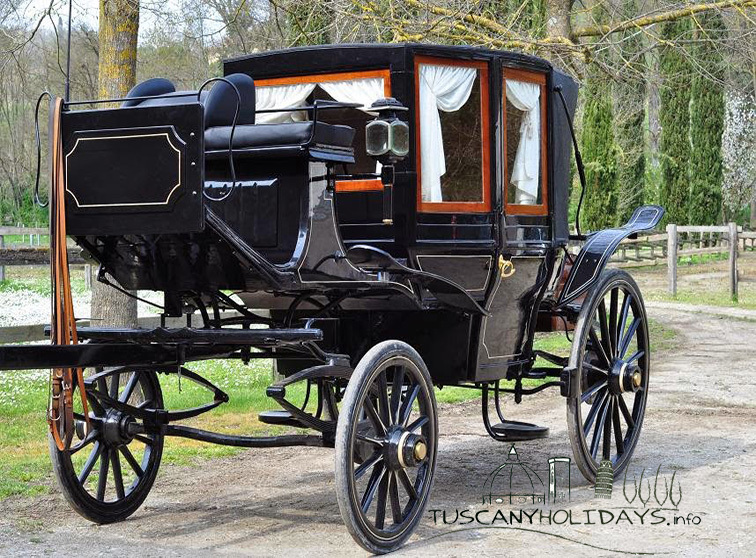 Chianti-Coachmen collaborate with fans of antique carriages, whom, with white horses, transform old carriage charm and poetry into something romantic. 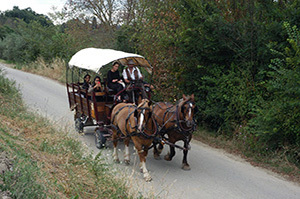 In private events such as weddings we can intervene with the wagon 10 seats, farmer-style, pulled by horses or carriages with 2 or 4 seats in a more romantic style horse-drawn, with white horse, or by pair. Of course, the presence of a musician or an actor who gladdens the carriage ride can be provided. 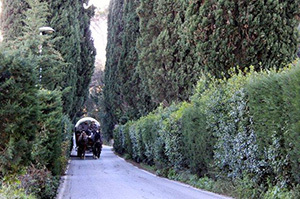 The carriages seating 2 or 8 people and horses can also be transported around the province of Florence, Prato, Pistoia, and Siena.